Designed by teachers and written by our in-house team of science experts, our content covers a wide spectrum of science concepts and key skills. Education Perfect Science offers a variety of vibrant and engaging curriculum informed content that is tailored to suit your school’s Science programme from upper primary through to senior secondary. 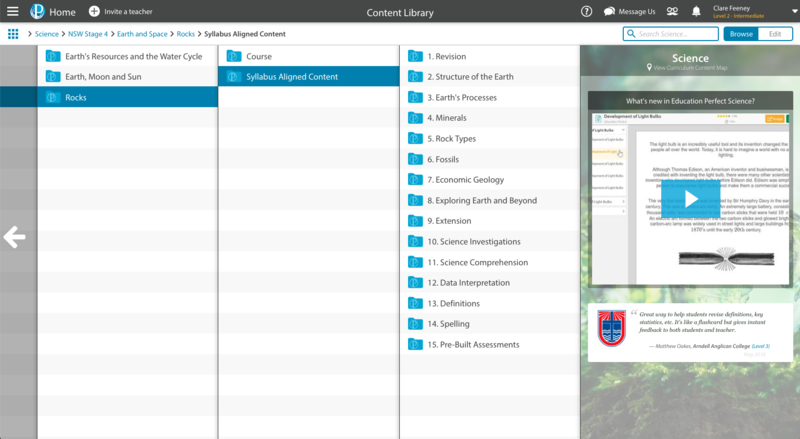 Find over 800 fully teacher-customisable, syllabus-aligned lessons designed to motivate, engage, and inspire students.